It’s many a childhood dream to grow up to be a fireman. 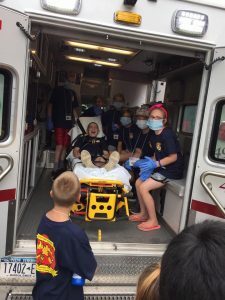 Each very summer, the Whitehall Volunteer Fire Company makes it possible for children to experience that dream at a week-long J unior Firefighters Camp. 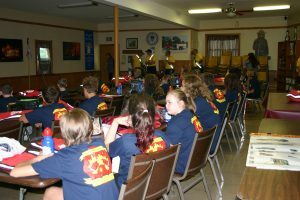 The all-day specialty camp is designed for children entering 4th through 8th grade, and is taught by Whitehall Volunteers Fire Company firefighters, state certified fireinstructors and EMT’s in topics such as: Fire Cause and Prevention, Fire Safety, Firefighting equipment and its usage, CPR and First Aid, Importance of Teamwork, Physical Fitness and Marching just to name a few. Classes begin at 9am each day and will end at 3pm. The Junior Firefighters are issued uniforms and photo ID tags that have to be worn at all times during their attendance at t he Academy. 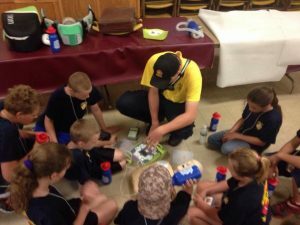 “Kids will learn the basics of first aid, search and rescue procedures, fire prevention and suppression, everything a probie would have to learn,” said Deputy Fire Chief Brian Brooks Sr. The Junior Firefighters Camp is offered Monday through Friday the first week of August and will conclude with a formal graduation ceremony on the following Saturday. “This is somewhat of a boot camp type environment” according to Deputy Chief Brooks. Due to the importance of these subjects, training is taken very seriously. 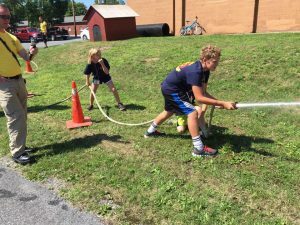 If a junior firefighter acts out of line or is disrespectful, some forms of punishment that may consist of push-ups, running extra laps and or writing what they did wrong several times and how they won’t do it again. 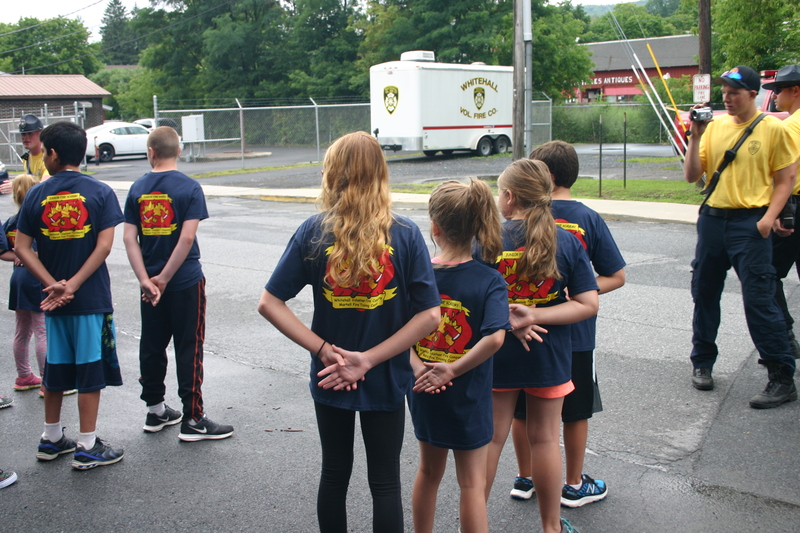 Fire camp will focus on the development of the four core character values of Caring, Honesty, Respect and Responsibility. 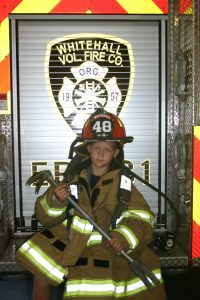 As a Junior Firefighter, each child will hold an important role in the Fire Safety of their families, school and fellow classmates. 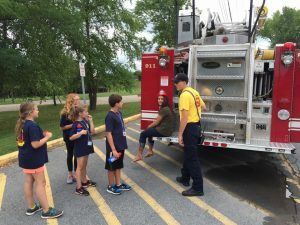 During Fire Prevention week, each Junior Firefighter will be allowed to assist the Fire Company in educating the other students in school as well as the rest of the community. In the Spring, the Fire Company participates in the Recruit NY program and Junior Firefighters will assist in conducting an Open House. Each year the Fire Company participates in Play Day at the Whitehall Elemntary School and the Junior Firefighters will assit us. The cost is estimated at $100 per student, and the fire company is counting on generous donations from the community so all of the students can attend for free. Interested parties are asked to contact President Brian Brooks at 744-0722 or email info@whitehallfire.org for details. Whitehall Fire is actively seeking Volunteers to join our organization. We encourage everyone who has an interest in serving their community to stop down. 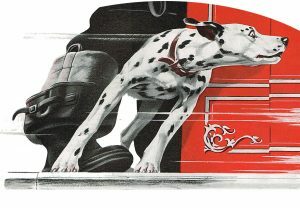 All donations go directly for the support of the fire company. Note on form “training center”. Financial reports are filed with the Village of Whitehall annually in January. To acquire and own fire apparatus of any kind or nature for use by the organization in the protection of persons and property from injury, loss, damage or destruction by fire or other emergency. To supply suitable quarters for the use of the members of the organization in connection with the housing of fire apparatus and for the provision of a meeting hall for the administration of the company and the social and recreational use of the membership. To provide fire protection to the territory in which the operation of the organization are principally conducted, which includes the Village and Town of Whitehall and all other areas under legal written contract. To foster interest in all matters pertaining to the volunteer fire service and the welfare of volunteer firefighters. To inculcate love of country, good citizenship, civic virtue, self-sacrifice and perpetuate the spirit from which the earliest days have actuated volunteer firefighters in the rendition of service of the highest type in the protection of life and property from fire without hope of fee or reward. Article 1, Section 2 of the Constitution and Bylaws – Whitehall Volunteer Fire Company Inc. The first volunteer firefighters in Whitehall date back to 1806. A paid fire department was instituted in 1913, resulting in the disbanding of all the volunteer fire companies in service at that time. The paid department was abolished by the village voters in 1985. The paid department’s budget at the time was $71,000 per year. The Whitehall Volunteer Fire Company was organized in October of 1957, it serves both the village and town of Whitehall, New York. In the late fifties, it was nicknamed the “Volunteers” to differentiate it from the paid department. We currently receive $35,000 from the village and $122,000 from the town. Situated on the southern tip of Lake Champlain, the “Volunteers” maintain, in addition to fire suppression, a Technical Rescue Team which includes Low Angle Rescue, Ice Surface/Cold Water/Swift Water Rescue Team that serves on Lake Champlain, East Bay, South Bay, the Champlain Barge Canal, and the northeast side of Lake George. 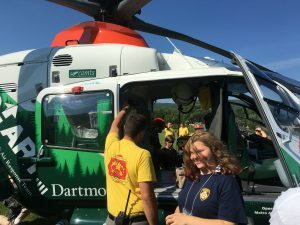 Whitehall borders the Adirondack Park and maintains a Search and Rescue Team trained by the New York State Department of Environmental Conservation Rangers. 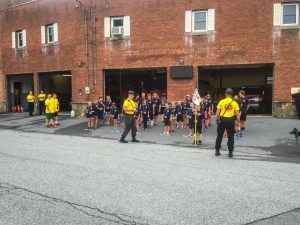 The company has two stations, the first housed in two adjoining buildings and the second in the former Skenesborough Central Fire Company building adjoining the new Town and Village Municipal Center. The oldest building is the original Whitehall Fire Department building erected in 1913. The firefighters lounge houses the original brass fire pole and Gamewell alarm system. Tours are given upon request. A 1843 Button & Blake Hand Pumper (built in Waterford, NY) and an 1850 Ladder Truck are on loan to the Skenesborough Museum, located between the stations. Whitehall Volunteer Fire Company Incorporated proudly protects 6200 people living in an area of 58 square miles. We protect a primarily rural area. Our department is a public department whose members are on a volunteer status. 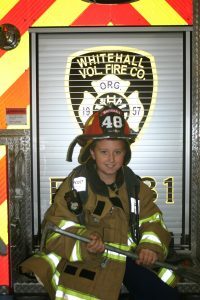 Although organized as a village fire company, the Whitehall Volunteer Fire Company serves both the Town and Village of Whitehall. Our fire company borders five other departments with whom we have mutual aid agreements, along with the remaining twenty-six fire departments in Washington County and six fire departments in nearby Vermont State (three miles away). From 1981-2000, we conducted a Fire Explorer Post program for high school students, through the Boy Scouts of America. Many of our members and current officers were exposed to firefighting through this program. 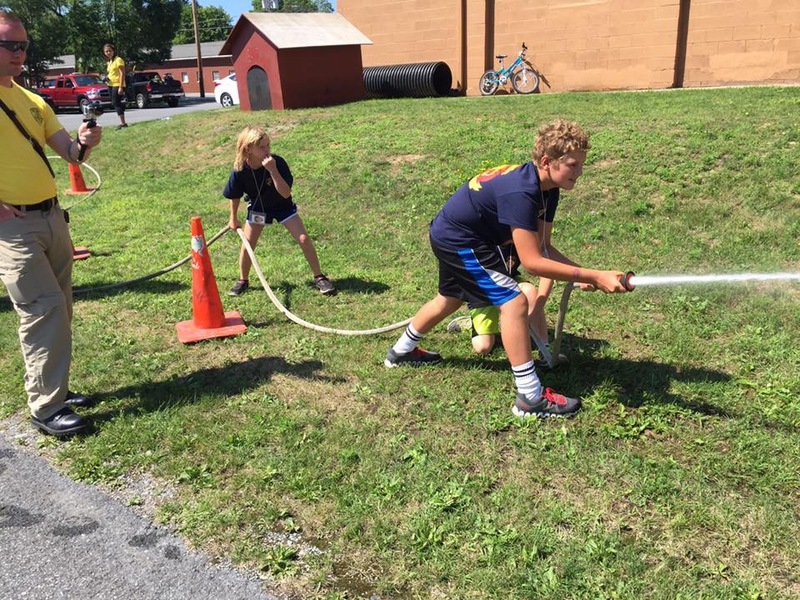 We currently have a Junior Firefighter program for High School Students ages 16-17. Please check out our long term plans from 2011 on the Public Education page under Fire Company Goals.